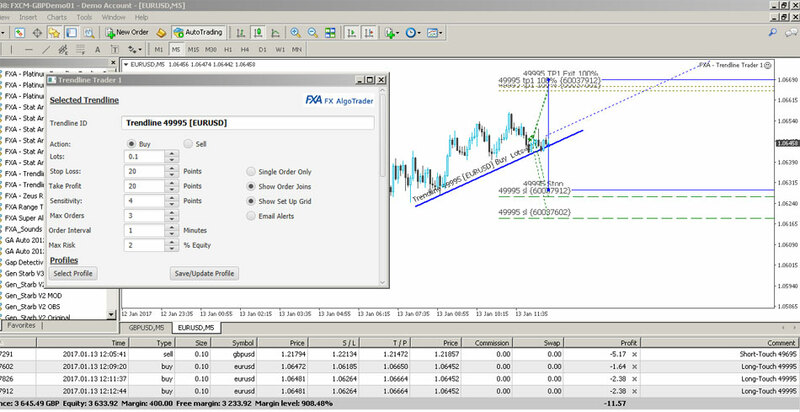 Ultimately automated trendline trading systems can be used in rangebound and trendling market conditions. With this in mind it is always useful to be able to see what the market is doing before you deploy an automated trendline strategy. 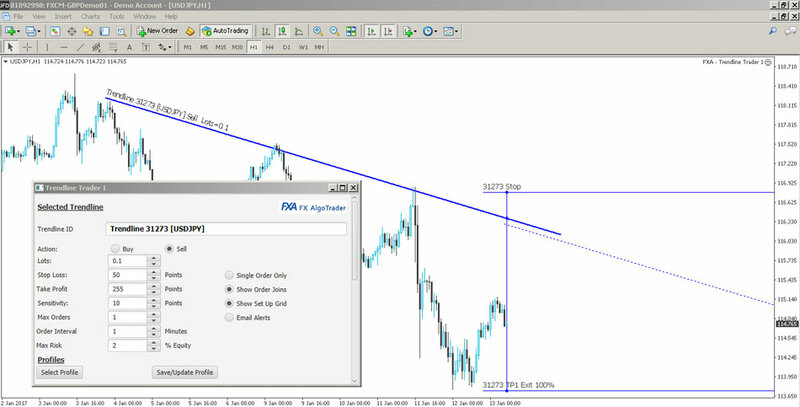 Picking the optimum pair for a trend based automated trading strategy would be greatly assisted by index analysis (in the case of forex) and range analysis data. 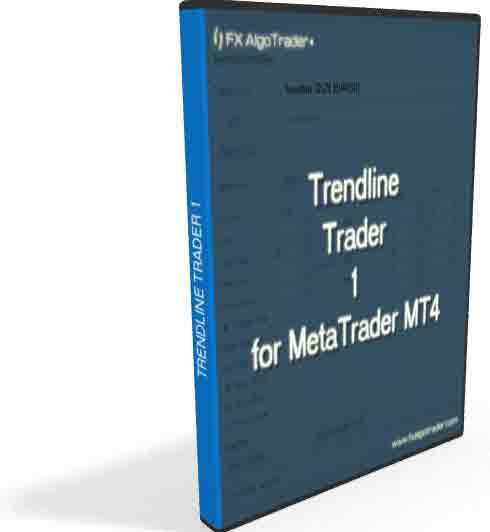 The FX AlgoTrader Range Analyzer , the Orion Index Analyzer or the Generic FX Analyzer would all be complimentary tools when used in conjunction with Trendline Trader 1.